Jazz Chiller can be utilized to maintain optimal operating temperatures of IPG strips (20° C) and precast gels (4°C) during IEF (isoelectric focusing) application. It is a recirculating chiller with easy and quick assembly. Simply connect the chiller to the cooling plate via snap-lock connectors. The thermostat is mounted readily on the refrigerator with insulated tubing and clips. 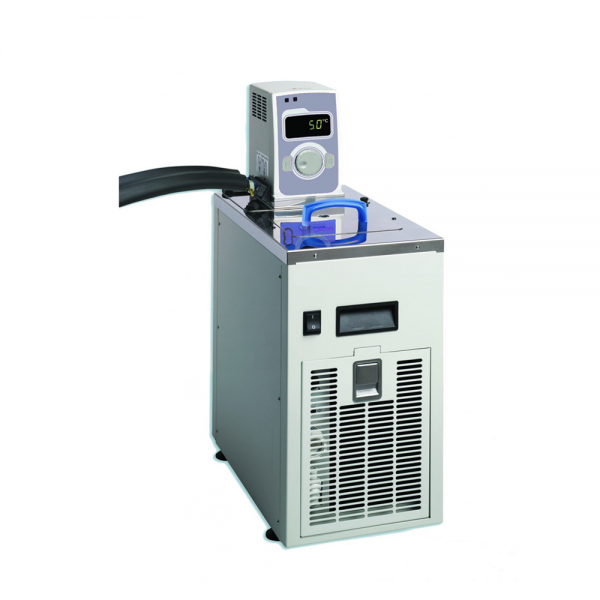 Jazz Chiller is suitable for both immersing samples and circulating temperature controlled fluid to external devices. It is equipped with an immersion thermostat that integrates Intelligent Control Optimisation for adaptive intelligent PID temperature control. Jazz Chiller also comes with a robust integral pump, intuitive timer function and variable high temperature alarm setting. For convenience and safety purpose, the temperature range and heater power are automatically limited based on the liquid type selected.